You might think that given the reputation of complementary therapists as being holistic and caring, it’s unlikely that they will rip you off. In most cases you’re thankfully right, as most therapists worth their salt will do anything possible to try and ensure that your treatment is right for you, successful and pleasant. The problem with most complementary therapies is that there’s not a lot of compulsory regulation, although there are voluntary bodies set up to oversee most of the well known complementary therapies. The Natural HealthCare Council is a voluntary body that’s been given government backing, and which aims to set standards for complementary therapists across all disciplines. As well as setting standards, the Council also has a complaints procedure. If you have a complaint about a complementary therapist, and they are a member (you can check this by looking at their website) they advise you to initially take it up locally with the therapist who treated you. Complementary health Practitioners don't have to register with the Natural Healthcare Council, - but you can at least rest assured that if you choose a therapist who is a member, they have satisfied the entry requirements, they will be properly qualified, and they will have agreed to sign up to a set of professional standards. If you do have to make a complaint, there is a downloadable complaint form on the website and instructions about the procedures to take. Who is Regulated by Law? Osteopathy and Chiropractic are most tightly regulated, and it’s illegal to call yourself a chiropractor or osteopath unless you are a member of the General Chiropractic Council or the General Osteopathic Council. This also means that you can take up a complaint with the relevant professional body if you can’t resolve it with the complementary therapist. The Society of Homeopaths has been working towards some form of industry regulation for many years, and 2009, the Society's board of directors decided to look at the possibility of applying to the Health Professions Council (HPC) for statutory regulation. There’s still no official regulation but if you want to find a reputable homeopath, The Society of Homeopaths has a free register that you can consult. 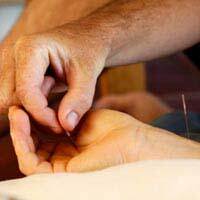 Acupuncture is also currently unregulated although like homeopaths, are trying to work with the Department of Health towards becoming officially regulated. The British Acupuncture Council is the largest body of professional acupuncturists in the UK and works to maintain training standards, safe practice and professional conduct, so their website is the first port of call if you want to find a reputable acupuncturist. Herbalists are working towards regulation in order to be able to carry on prescribing herbs that may be affected by potential EU restrictions. To find out about practitioners in your area, you can contact the National Institute of Medical Herbalists, where they provide a searchable database of registered herbalists.